The Time Tested Traditions Of Wool Combines With Lurex Metallic Yarns To Offer You This Special Talis For Your New Baby Boy To Wear At His Bris. 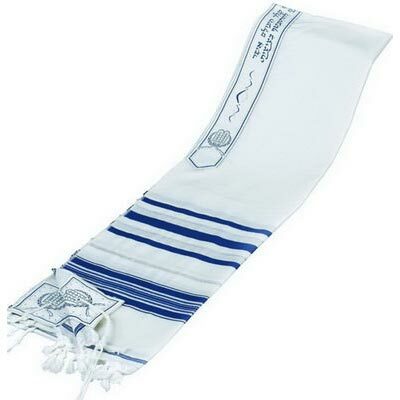 The White Wool Talis Comes With Your Choice Of Blue And Silver Stripes Or Blue And Gold Stripes. The Talis Is 8" x 42".